Is circuit engineering what you want to learn? Always wondered how one becomes an electrical engineer? Do semiconductors and circuit boards interest you? 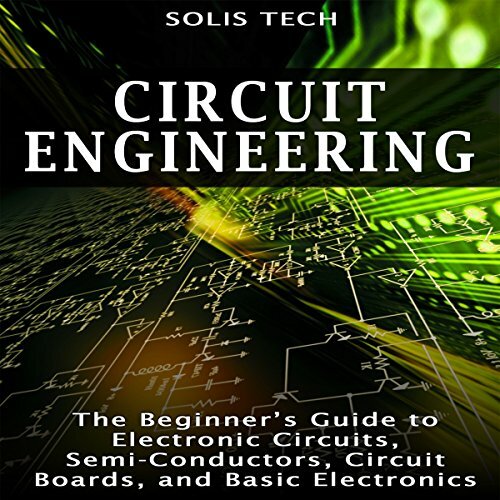 Purchase Circuit Engineering to discover everything you need to know about basic electronics. Step by step to increase your electrical skills. Learn the anatomy of a circuit. All your basic knowledge in one download! Soldering information is not correct whatsoever, you will not be soldering anything at 300°F. The presentation of information follows no method whatsoever and touches on random information throughout. This is a good book about circuit engineering. I wish audible had more books about semiconductors. it was good for someone just beginning with electronics. for more advanced readers, they might want to beyond this. I'm an architect thinking of a career change into Electrical Engineering/Robotics. This book is a great introduction to what I could expect. keep em' coming. Every sentence starts with the first part clipped off. The first word of every sentence is at least partially if not completely missing. Absolutely unlistenable. I'm not going to write a paragraph bashing this book. simply put it is not worth one penny. it was like picking up a info brochure at a gas station! rediculous waste of time. Nice, for certain. Indeed I truly hope my headline sgatisfies the fifteen word minimum as stated. Oddly, the book is continually interrupted by a review request just 3 minutes following its purchase. I am just happy to see an engineering subject in here. Yes, it could have been longer and better but it's a good introduction to get you thinking a little bit about electronics. I wish there was more engineering related subject on Audible.